Every Thursday in August our good friends at Juno Bar have held a Live Art event called Open + Live where 4 artists are given a canvas to work on throughout the night creating magic with their pens, pencils and brushes. Next Thursday we will be gatecrashing with a slight change to our usual open mic format. 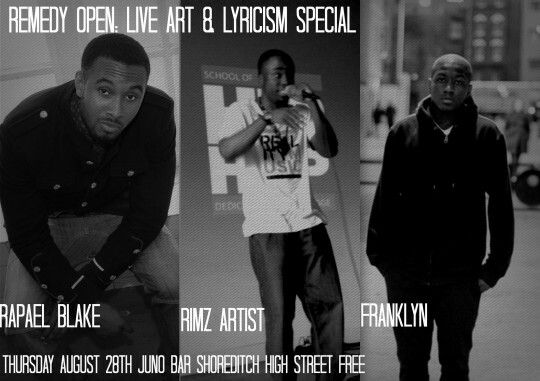 As Street Art has a great connection with Hip Hop and lyricism we have invited some of the capitals best lyricists down to perform whilst the artists create. Performances on the night from Franklyn, Raphael Blake and one half of Reality Music RIMZ Artist.